Luzia Hürzeler is showing in Ohm sweet ohm at la Nef, Rue Saint-Hubert 17,2340 Le Noirmont, Switzerland, from 24 June - 16 September 2018. See www.lanef.ch. Phil Coy, Substance [a whole history of hollows and reliefs] is showing at South London Gallery, 65-67 Peckham Road, London, SE5 8UH, from 27 - 30 June 2018. See www.southlondongallery.org. Thomson & Craighead are giving an Artists' Talk about their works in the exhibition Anytime Now at Tent Rotterdam, Witte de Withstraat 50, 3012BR Rotterdam, on Friday 8 June 2018, at 7pm. See www.tentrotterdam.nl. 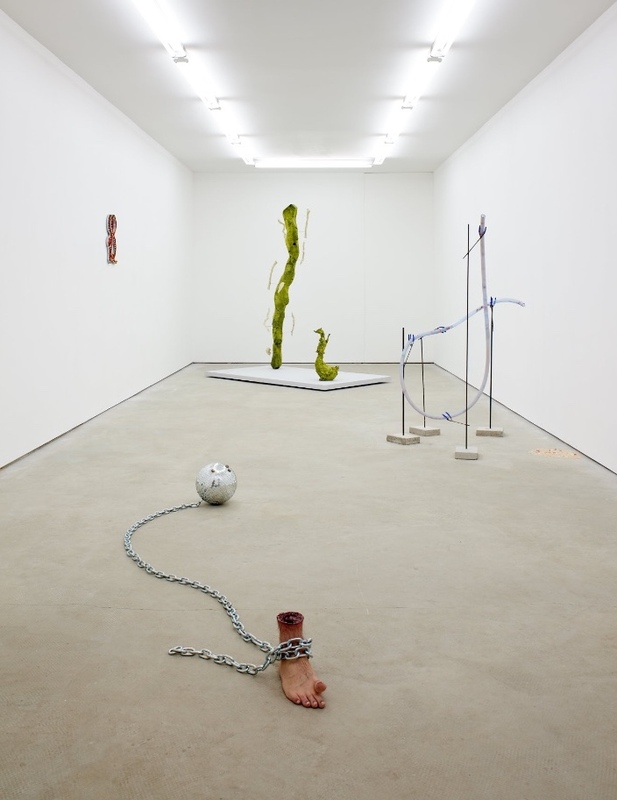 Rob Crosse is showing in Jerwood Solo Presentations 2018 at Jerwood Space, 71 Union Street, London SE1 0LN from 20 June - 26 August 2018. See www.jerwoodvisualarts.org. 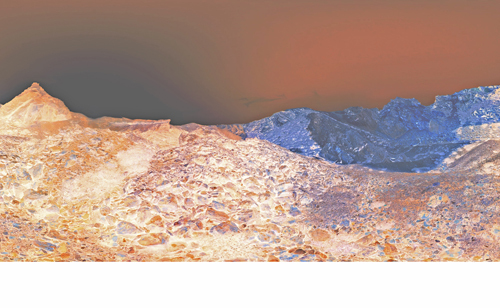 Onya McCausland has a solo show, Five Colours, Five Landscapes, at North Cloisters, UCL, Gower Street, London WC1E 6BT, from 26 April - 1 September 2018. See www.ucl.ac.uk/culture and www.ucl.ac.uk/news. Current PhD student, Florian Roithmayr is showing An exhibition of contemporary sculpture at the Museum of Classical Archaeology, Faculty of Classics, Sidgwick Avenue, Cambridge CB3 9DA, from 19 May – 3 November 2018. See www.classics.cam.ac.uk. Fiona Curran's new artwork, Your sweetest empire is to please, is showing at Gibside Hall, near Rowlands Gill, Gateshead, Tyne & Wear, NE16 6BG, from 12 May to 30 September 2018. See www.nationaltrust.org.uk/gibside. Graham Gussin: The Mary Jane Paintings is showing at Handel Street Projects, 14 Florence Street, London N1 2DX, from 9 June - 19 July 2018. See handelstreetprojects.com. Quarry by Phyllida Barlow is showing at Jupiter Artland, Bonnington House Steadings, Wilkieston, Edinburgh, from 12 May - 30 September 2018. See www.jupiterartland.org/artwork/quarry. Castle Street, Cambridge CB3 0AQ, from 22 May 2018 – 27 August 2018. See www.kettlesyard.co.uk. 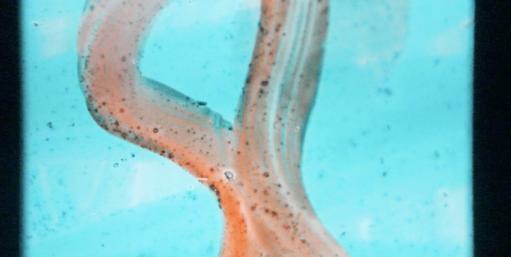 Northern Quarter, Manchester, M4 1EU, Sliced Units, three films by Shen Xin, Market buildings, Thomas Street, Northern Quarter, Manchester, M4 1EU, is showing at the Centre for Chinese Contemporary Art, from 11 May - 1 July 2018. See www.cfcca.org.uk/exhibition. Come to our MA/MFA/PhD show! 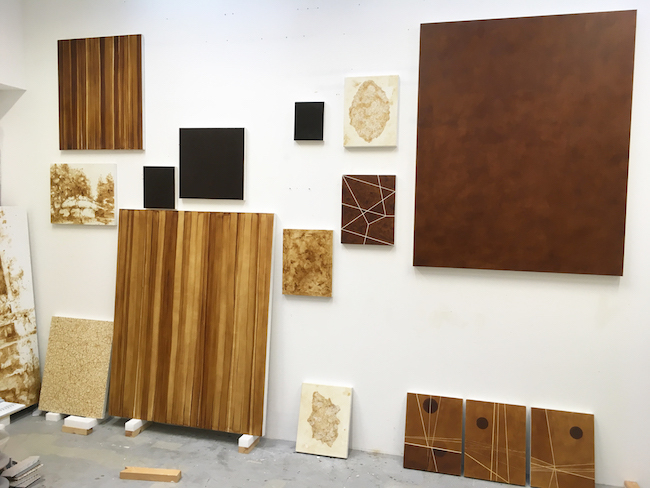 Congratulations to Sean Edwards who has been selected to represent Wales at the 2019 Venice Biennale. See www.arts.wales. Michael Ajerman, UCLA Library Kitaj Research Fellow, is giving a talk, R. B. Kitaj: From Tipperary to Westwood, at the Charles E. Young Research Library, 280 Charles E. Young Drive North, Los Angeles, CA 90095, on Thursday 31 May 2018. See www.eventbrite.com/e/rb-kitaj-from-tipperary-to-westwood-tickets-46333232947. Tacita Dean has a solo show at the The Fruitmarket Gallery, 45 Market Street, Edinburgh, EH1 1DF, from 7 July–30 September 2018. See www.fruitmarket.co.uk. Nathaniel Rackowe's collaboration with choreographer Angela Woodhouse, (De)figured, is showing on 1 June 2018 at White City Place, London W12. The project is supported by Elephant Magazine. See www.instagram.com. 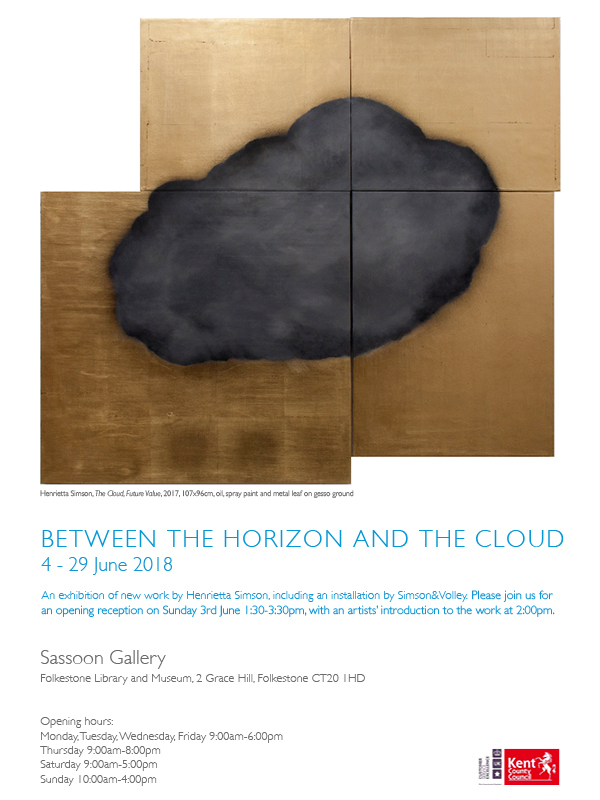 Henrietta Simson is showing in Between the Horizon and the Cloud at the Sassoon Gallery, 2 Grace Hill, Folkestone CT20 1HD, from 4 - 29 June 2018. Maria Farrar is showing in Known Unknowns at the Saatchi Gallery, Duke of York's HQ, King's Road, London SW3 4RY, from 21 March – 24 June 2018. See www.saatchigallery.com. 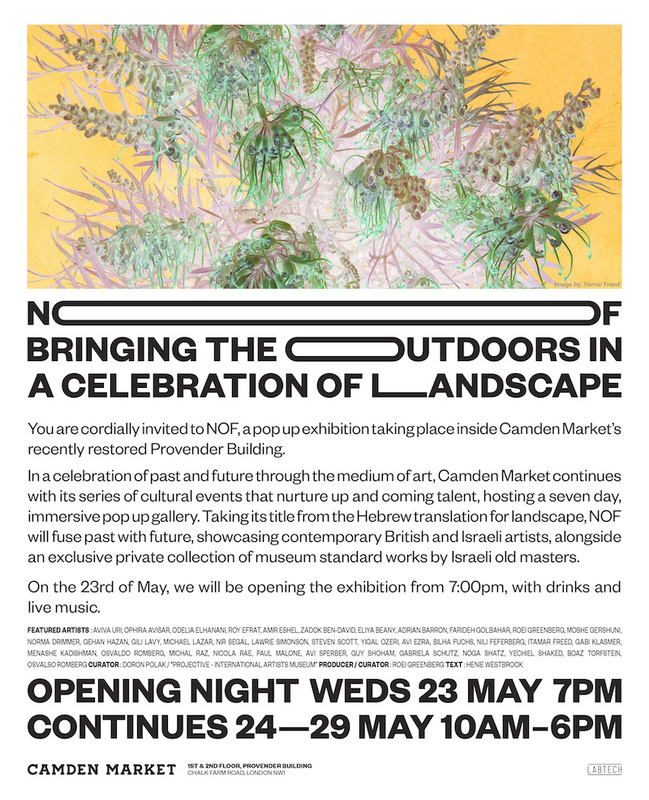 Michal Raz and Noga Shatz are showing in NOF, at Provender Buidling, Camden Market, Chalk Farm Road, London NW1, from 24 - 28 May 2018. See www.camdenmarket.com/events. Join us for an evening of remembrances by friends and colleagues to celebrate the life of Professor Edward Allington at the Slade School of Fine Art on 22 May 2018. See www.ucl.ac.uk/slade/events/remembrances-edward-allington-at-the-slade. 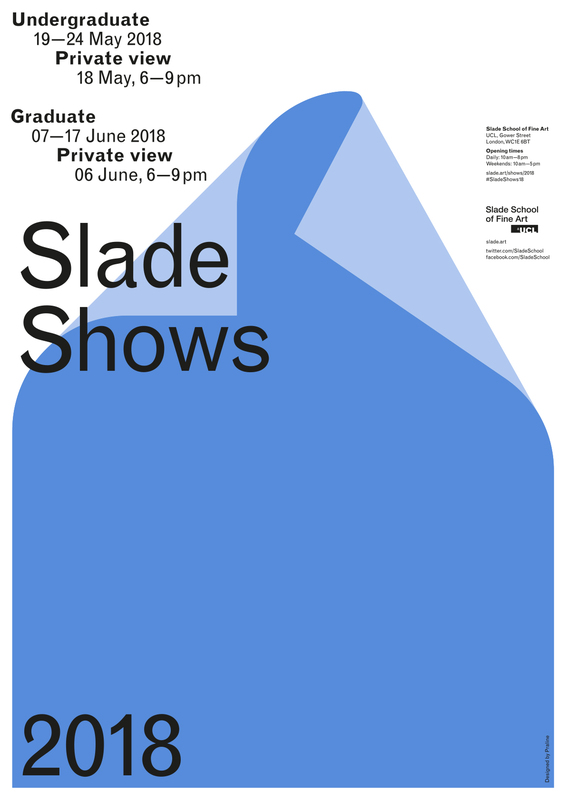 Booking for the Slade Summer School Short Courses and Summer School Foundation Course is now open. See www.ucl.ac.uk/slade/summer-school. Sharon Morris and David Austen to discuss the relationship between word and image at Enitharmon Editions, 10 Bury Place, London WC1A 2JL, on Wednesday 16 May 2018, from 6 - 7.30pm. See enitharmon.co.uk/events. UCL has confirmed its position among the top 20 “super-elite” universities in the world, according to the Times Higher Education’s (THE) annual rankings. See www.ucl.ac.uk/news. Thigh House by Rosa Uddoh is at the Sarabande: The Lee Alexander McQueen Foundation, 22 Hertford Road, London N1 5SH, from 10 - 13 May 2018. See: www.sarabandefoundation.org. Booking on:www.eventbrite.co.uk. We are very saddened to learn that our former Head of Undergraduate Painting and veteran Summer School tutor Ron Bowen has passed away. 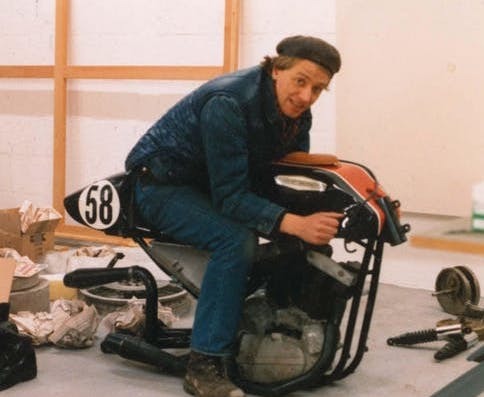 Ron taught for over 40 years at leading art schools in London, New York, Florence and for many years, the Slade.